I’ve so been looking forward to showing you this project! I’ve been lucky enough to follow a group of local businesses right from the very start of concept development, all the way through to launch. I love it when a client sees the value of bringing me on board from the early stages of a project, because it allows me to really get to know them and what they’re all about – and that gives me so much insight to work with as we proceed with building their brand. Win! For me, this journey started back in April of 2017, when I was invited to host a branding workshop for a group of local business, who were in the early stages of joining forces and creating an umbrella brand. During the course of a few hours that evening, I gave them a brief overview of how strategic branding can add value to small businesses, and we worked together to define some core values that they could all agree on. There was a lot of laughter, a lot of enthusiasm… and a massive pile of sveler (traditional Norwegian food, almost like american pancakes, fluffy, light, sweet, and filled with a butter + sugar mix or our famous brown cheese). Gotta love it! A couple of months later I was invited back to host yet another workshop; this time to kick-start the process of finding a name for the new brand. That’s not an easy feat when so many different businesses are involved, but after a couple of intense hours, we were left with a shortlist of possible names. 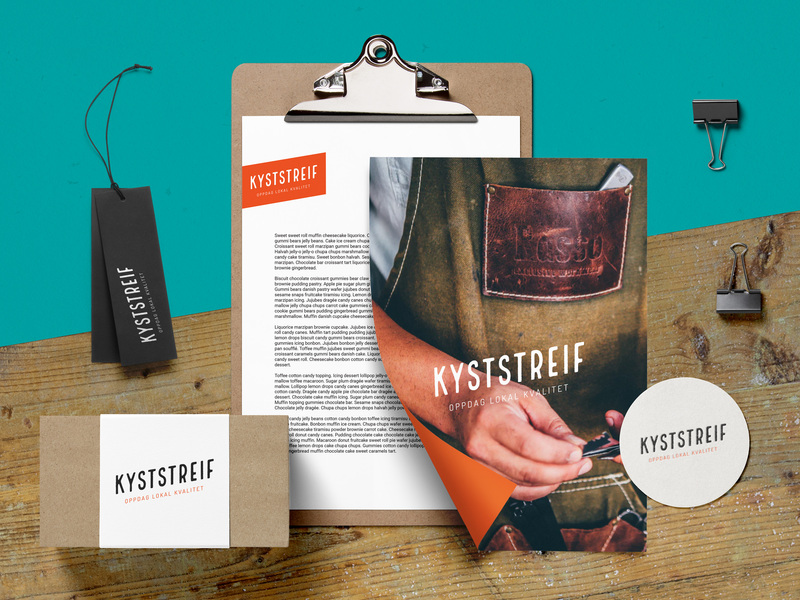 A while later, after the group had carried on the process on their own, Kyststreif was founded in January 2018, and the quest to design their brand’s visual identity started. 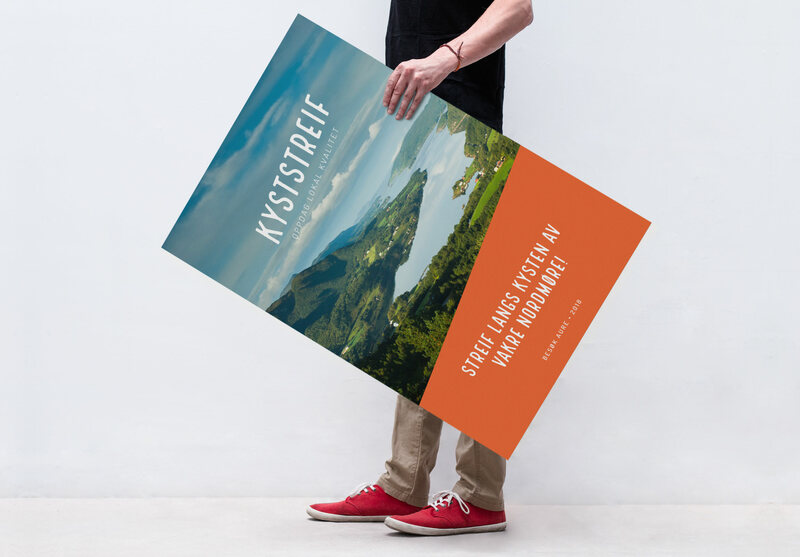 With such a diverse group of businesses, my main challenge was to create a brand identity that was unique enough to stand its own ground – whilst not overpowering the each company’s existing brand identity. In the end, we landed on a typographic logo, with a twist. 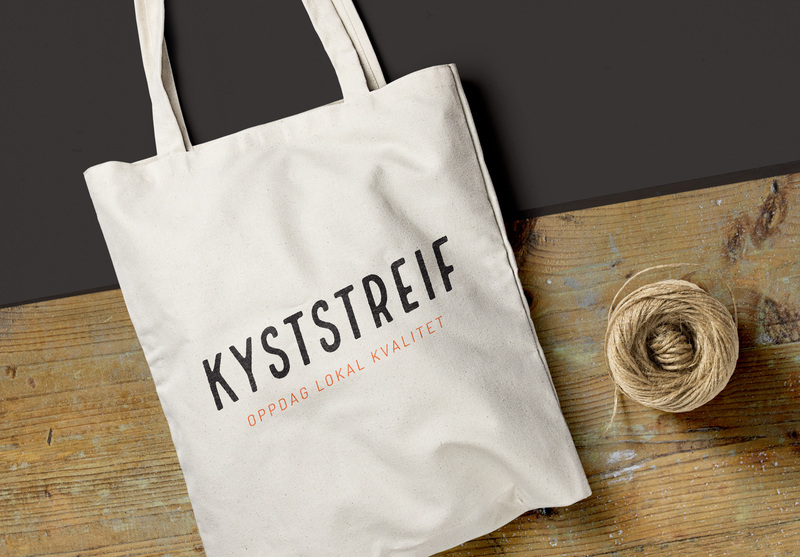 The logotype gives associations to tradition and local craftsmanship, but by slanting it we added a dynamic touch. These diagonal lines are carried through to the rest of the brand identity, and coupled with a bold and juicy choice of colours the overall look and feel is far from frumpy. This is tradition brought up to date! 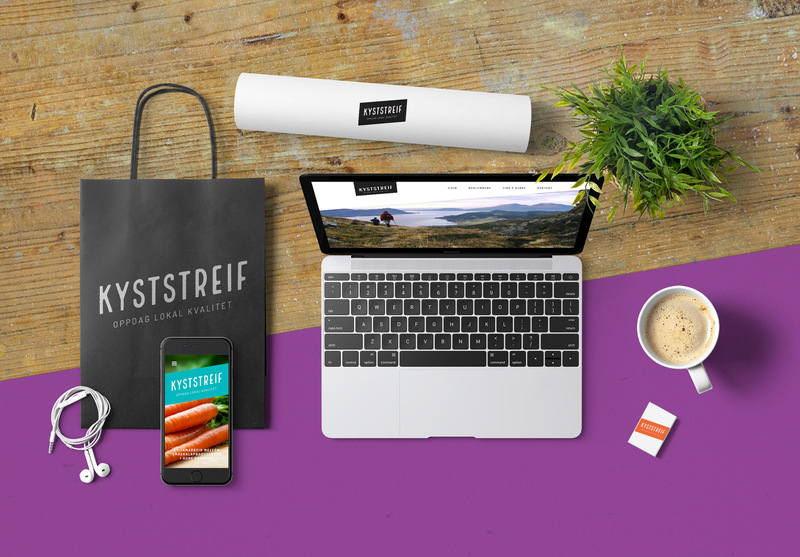 The colour palette also allows each participating company to pick the colour that works best alongside their existing branding.